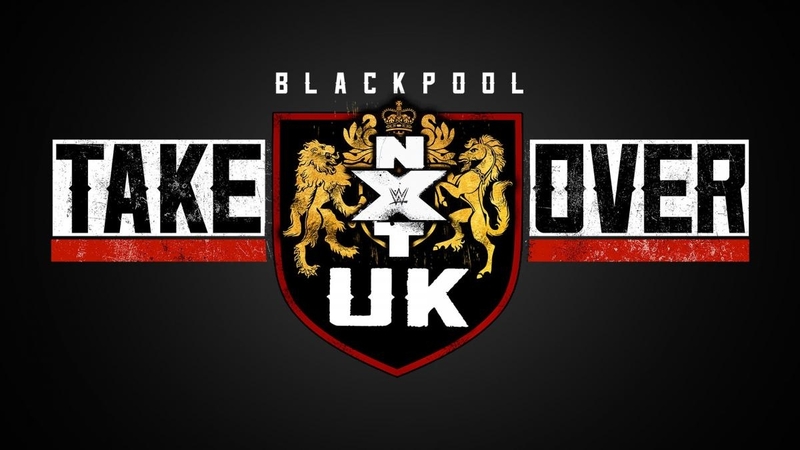 Last Saturday, NXT UK held its first big event following the onset of its WWE Network television show in the form of TakeOver Blackpool from the Empress Ballroom at the Blackpool Winter Gardens. 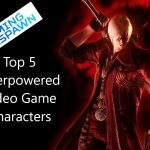 I was lucky enough to attend the event along with my pal Adam Matters. Sadly I messed up my first attempt at getting tickets on the Ticketmaster website and ended up having to give up some floor seats for some seats in the upper balcony. Thankfully, we still had a good view of the ring during the event, with just part of the video screen obstructed, but I couldn’t but help feel a bit jealous of those in the floor seats during some of the bigger moments of the show, as they were up on their feet and shaking the house at points. As far as I could tell, the event was a legit sell out, and the 3,000 strong crowd were in to most of the show. Seeing as I wasn’t taking notes and was just watching the show in the ballroom, I won’t be doing my usual play by play match recaps here and will give some of my thoughts on each match. Before the TakeOver Blackpool show started airing on the WWE Network, they held three pre-show matches. I’m not sure if these matches were taped or not, as we came into the ballroom literally as the music for the opening match had kicked in, so if there was an announcement I’m afraid we missed it. Things started out with the high flying El Ligero taking on Saxon Huxley. Huxley had long hair and a beard, so the crowd decided to amuse themselves by chanting “Let’s Go Jesus” at him, but I actually thought he looked a lot more like Bruiser Brody than the famed Son of Nazareth. The match itself was your standard opener, with nothing too crazy or wild, and it was an enjoyable if uneventful collision that saw Ligero come out the winner. Huxley is pretty bland in ring, but has a good physique, whilst Ligero got a good reaction thanks to his athleticism and showmanship. I’m very happy for Ligero that he managed to secure a contract with WWE, as he’s been working hard on the indie scene for years and it’s great that his efforts were rewarded. The second match on the pre-show was a collision between women’s wrestlers Isla Dawn and Jinny. Dawn describes herself as a “modern-day Witch” according to WWE.com, but despite this she was the babyface here against the villainous “Fashionista” Jinny. I guess Jinny models really evil dresses or something whilst Dawn does good magical spells? Regardless, both women played their roles well and I found this to be an enjoyable match. Sadly the finish looked a bit rough from my angle, as Jinny tried to give Dawn an X-Factor whilst she was tangled in the ropes, but she didn’t quite get all of it and looked messy. Maybe they’ll be able to tighten that up a bit in the edit if it makes TV? That aside, I liked the match and Jinny is an excellent heel. The final pre-show match before Takeover Blackpool featured the babyface tandem of Mark Andrews and the Quadrophenia inspired Flash Morgan Webster taking on Evil Foreigners™ Fabian Aichner and Marcel Barthel. This was an excellent match, the larger Aichner and Bartel bullied their smaller opponents for portions of the match, only to then be confounded by their foes high flying tactics. This match got a great reaction from the crowd and was very exciting in the home stretch. Eventually the bigger heels were able to come out victorious, but all four men got some decent applause once the bout ended. Aichner in particular looked great in the match. He’s like a slightly shorter Warlord, but he can actually wrestle! Once the ring skirts had been replaced and the cameras all primed, the Takeover Blackpool event started proper with the opening match as Zack Gibson and James Drake took on Tyler Bate and Trent Seven. This match was a tournament final to crown the first ever NXT UK Tag Team Champions, and it was probably my favourite match of the entire evening. 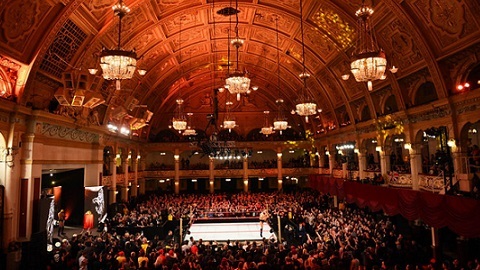 Despite hailing from Blackpool, Drake saw no love from his hometown crowd, as the Empress Ballroom was fully behind Bate and Seven’s attempt to claim the titles. In a nice touch, Bate and Seven came down to the ring wearing gear modelled on the attire of famous English tag team the British Bulldogs. Seven spent a large portion of the bout being worked over by the heels before finally managing to tag in his younger partner. What followed was a blistering series of near falls, in which both teams traded victory attempts to increased pandemonium from the ebullient crowd. Eventually, Drake and Gibson were able to lay Bate out on the outside following an amazing, yet also terrifying, Doomsday Device. Seven bravely tried to fight on, but he was outnumbered and this allowed Drake and Gibson to pick up the win and the inaugural titles. This match was superb and it’s worth watching Takeover Blackpool on the WWE Network just for this bout alone! The crowd weren’t given much time to recover from such a high octane opener however, as the next match featured a huge surprise that threatened to bring the whole building down. The insufferable Jordan Devlin was due to wrestle the gutsy Travis Banks, but Devlin laid him out before the match could start. NXT UK authority figures Sid Scala and Johnny Saint weren’t going to let Devlin get away with such insolence however, and revealed that they had a replacement lined up in the form of former WWE Universal Champion Finn Balor! The reaction for Balor was one of the most amazing moments I’ve been part of live over many years of attending WWE events, as the famous Empress Ballroom almost shook as the crowd roared in surprise and excitement. Balor had actually trained Devlin, which gave the resulting match a bit more of a storyline than your standard impromptu bout. It was never really in doubt that Balor would defeat his former pupil, as it would be silly to have Balor defeated in this situation with no build. Devlin looked good in the match however and was able to get some prolonged periods of control over his mentor, but the end result of Balor winning with his top rope double stomp wasn’t exactly a shock. Throughout the night, people like Luke Menzies and Charlotte Flair were shown in the crowd. None of these people were actually sat in the crowd watching, they just came out for their segment before heading backstage again. I get them not wanting to stick Charlotte in a crowd full of strangers without a chaperone to be fair, but it’s still a bit overly duplicitous for my liking. Following the surprise appearance of Balor, Takeover Blackpool continued with a No Disqualification match between two big blokes in the form of Eddie Dennis and Dave Mastiff. Dennis, a tall Welshman, performed some impressive feats of strength on his large foe from the Black Country, including a gigantic Splash Mountain Bomb for a near fall. Mastiff showed that he had agility belying his stature, as he went up to the top rope for a moonsault, which Dennis was lucky enough to dodge. In the end, it was Mastiff who came out the winner in an intense brawl by smashing his opponent through a table with his trademark cannonball attack. I enjoyed this quite a bit, as both men were game to go out there and punish one another with assorted weaponry such as Singapore Cane’s and ring steps, and I appreciated them suffering for their art. After the No DQ match, we got the semi-main event of Rhea Ripley defending her NXT UK Women’s Championship against the beloved Toni Storm. I was impressed with both women here, as they had wonderful poise for two people so young in such a big situation. Ripley really owned the room the minute she stepped onto the ramp and you would never guess that she was the tender age of 22 from the confident way she carried herself. You could tell that Storm was jazzed for the match as she couldn’t stop smiling during her entrance. She really is an endearing personality, as well as a fine technician within the ropes. The resulting match was hard fought, with Ripley using her superior size to dominate Storm in certain sections of the match, only for Storm to show the determination to fight back in her quest to claim the title. The first bout between the two had seen Storm suffer a serious injury during the bout, which eventually put paid to her victory hopes, but such an incident didn’t take place here. After a back and forth closing stretch, which saw both women kick out of the others finishing move, Storm was able to use a tug of the hair to pull Ripley into her Storm Zero underhook powerbomb, which was enough to put her opponent away and claim the title. I really enjoyed this match and thought that both women worked really hard. It felt like the finishing sequence had a few more beats to hit before the end came, thus making the deciding pin fall a bit like it came out of nowhere, but that didn’t affect my enjoyment of the contest. You could argue in fact that it leaves more on the table for a rematch between the two women, which I’d definitely like to see after watching this battle. 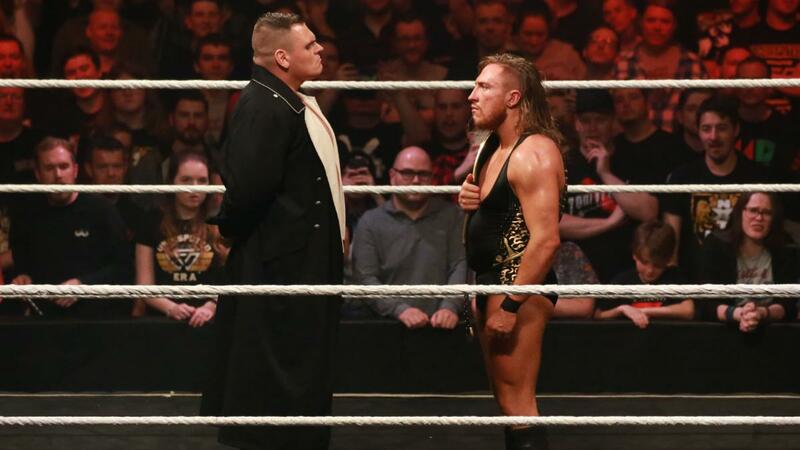 And with that bout finished, Takeover Blackpool concluded with the main event between WWE UK Champion Pete Dunne and the embittered challenger Joe Coffey. The story here was that Coffey had originally been left out of the inaugural UK Championship Tournament, so he was looking to take out his displeasure on Dunne here, whilst claiming the title in the process. I was aware that Coffey was a long time main event player for the successful Scottish promotion Insane Championship Wrestling, but I still found him to be a rather underwhelming challenger for Dunne. I’ve just not really connected with him as the top heel in the company, but part of me thought that he might win here to heat him up. Thankfully, Dunne ended up retaining the title following a bruising war, which I think was the correct decision. Dunne has had the UK Championship since May 2017, so when he eventually loses it I think it has to be a pretty special challenger. Coffey, despite having great delivery in his promo’s and an imposing physique, just isn’t that calibre of guy in my mind, so I’m glad WWE held off on changing the title. After a steady start based around mat work, Coffey took control following a punishing slam onto outside the ring. Dunne wouldn’t go quietly into the night however and fought his way back into the match, which led to both men teeing off on each other with hockey style punches to a rapturous response from the crowd. 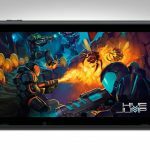 At one point the Blackpool crowd loudly chanted “Are you watching Vince McMahon?”, to which the WWE Chairman replied on Twitter stating that, yes, he was watching and, yes, he thought the battle was awesome! My only criticism of the match would be that it probably went a bit too long and could have done with being 5-10 minutes shorter. It felt like both men were really trying to make the bout feel suitably epic, but it also kind of felt like they were forcing it at points. As I said in my review of Wrestle Kingdom 13 here on Gaming Respawn, a long match is fine if it feels like it needs to be long. This really didn’t feel like it needed to be as long as it did, mainly because Dunne and Coffey aren’t really on an even keel like Hiroshi Tanahashi and Kenny Omega were, with Dunne clearly being a level up from his challenger. The attempt here was to make Coffey feel like he was on the level of Dunne by having him put up such a strong fight, which worked to a certain degree, but after a while it started to feel a bit silly that he wouldn’t stay down. Following a clean submission victory, Dunne celebrated with his UK Championship as the show appeared to end, only for the familiar music of independent star Walter to hit and send the crowd into further raptures. Walter is big Austrian wrestler renowned for punishing his opponents with hard chops. He floored Coffey with a big boot and then faced off with Dunne, before leaving without further incident. Walter is a huge star on the independent scene, so WWE have done very well to get him under contract. Could he be the one to finally end Dunne’s epic reign? You’ll have to tune into NXT UK every Wednesday on the WWE Network to find out won’t you? Overall, I had a great night at the show and I would highly recommend attending an NXT UK Takeover event the next time one is held. The wrestling was fantastic and there was a great atmosphere, with the floor seated fans standing for most of the main event and really adding to the feeling of it being a big match. I can happily recommend that you watch this show, it was a belter!